Sri Lanka’s economic crisis has now been manifested in its severest form as a shortage of foreign exchange, pressure for the rupee to depreciate and the need for IMF to extend a helping hand. This last manifestation, dubbed as ‘rescue of last resort’, arises when a country has no any other source to turn to. Sri Lanka is a member of IMF and, hence, there is nothing wrong in the country seeking IMF assistance. On the other hand, it is also in the interest of IMF to prevent a member country from sinking. However, had IMF extended its helping hand to Sri Lanka one year ago, the situation would have been different. But IMF which fielded missions to Sri Lanka several times in 2015 maintained stubbornly that the country needed no foreign exchange support. The implication of this ruling is that Sri Lanka could come out of its economic crisis on its own, a quality of the economy which the Central Bank used to call as ‘resilience’ in all its reports including the most recent press release on monetary policy. IMF had made this ruling despite there had been some unmistakable signs of a crisis manifesting themselves from around 2012. These signs began to show up when exports started to lag, trade deficit to balloon, external debt to soar and economic growth to slow down. They were correctly read by independent analysts, professional bodies like the Sri Lanka Economic Association or SLEA and think-tanks like Institute of Policy Studies or IPS. For evidence, one has to peruse only the proceedings of the annual sessions of SLEA or the State of the Economy reports of IPS in the last few years. It is strange that IMF which has global experience relating to economic crises in other countries could not correctly read those signs. Even as late as October 2015, the need for the country to seek IMF support to come out of the crisis was emphasised by this writer when he delivered the keynote address on the occasion of the release of IPS’s State of the Economy Report for 2015 (available at: https://www.youtube.com/watch?v=igsAaLP2wBY ). Had the country acted fast at that time, it would have put itself on the corrective path well in time and avert the crisis in which it is deeply mired today. Since then, Sri Lanka has now lost seven months without any concrete plan for coming out of the crisis. What is being done today is a mere hold-up operation to prevent a further deterioration of the situation. Thus, the Monetary Board of the Central Bank has been selling dollars out of its foreign exchange reserves to prevent the rupee-dollar exchange rate from falling further. During the first four months of the year, according to the latest data released by the Central Bank, $ 1.2 billion had been sold on a net basis by the Bank in the foreign exchange markets. The result? A fast decline in the foreign reserves held by the country. Thus, with a deficit in the overall international payments of the country, known as the balance of payments, the country’s foreign exchange reserves have fallen from $ 7.3 billion as at the end of 2015 to $ 6 billion as at the end of April 2016. A part of these monies are dollars borrowed by the Central Bank temporarily under a number of SWAP facilities arranged with two State banks and also with its Indian and Chinese counterparts. The Monetary Board has been forced to rollover these SWAP facilities every time they are due for settlement to avoid an outflow of foreign exchange from the country. Out of the foreign exchange reserves $ 6 billion, only $ 5 billion are available as freely available reserves to meet future foreign exchange commitments. But according to the Central Bank data, in the next 12 month period, the country has to spend $ 5.3 billion to meet its foreign debt repayment commitments. Of this, a sum of $ 1.2 billion is due for repayment before July, 2016. In addition, there is another $ 3.3 billion which is pending for settlement during the next 12 month period on account of the dollars which the Central Bank has borrowed under a number of SWAP facilities. The total known commitments thus amount to $ 8.6 billion. This sum has not taken into account the investments made by foreigners in Treasury bills and Treasury bonds amounting to $ 1.6 billion. 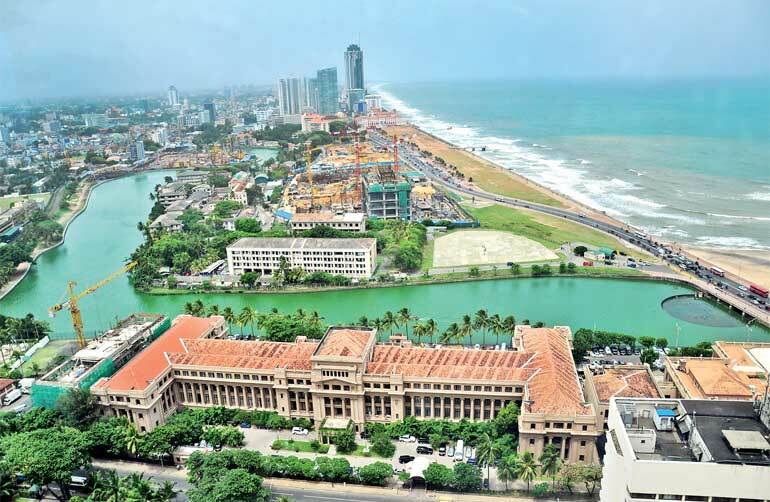 These investments can fly out of Sri Lanka without notice if the foreign investors are not convinced that the country is adopting an appropriate policy strategy to come out of the crisis. Hence, the time clock is ticking and Sri Lanka is fast losing time. The Monetary Board, in its monetary policy assessment in May 2016, has concluded that there is no necessity for action presumably because it expects all macroeconomic ailments to show some sort of alleviation in the coming months. The Board’s conclusions had been based on past events and not the ones that are currently brewing within the economy and those that are to show up in the future. Some ominous developments, apparently missed by the Monetary Board, are the following. With the sale of foreign exchange out of its foreign exchange reserves, the net foreign assets of the Central Bank, that is, foreign assets netted against foreign liabilities, are fast declining. Accordingly, in February, 2016, they were Rs. 469 billion, down by Rs. 150 billion during the 12 month period from February 2015. Such a decline should reduce the currency in the hands of people and money with commercial banks – referred to as money printed by the Central Bank in common parlance and known as reserve money according to monetary economists. However, contrary to what is expected, this reserve money base has in fact increased from Rs. 583 billion in February 2015 to Rs. 739 billion in February 2016. How could this miracle happen? That is principally through a sharp increase in Central Bank’s net lending to the Government by investing in Treasury bills and providing temporary money known as provisional advances. Such net lending, that is, amount lent minus the deposits of the Government with the Central Bank, has increased by Rs. 139 billion from Rs. 246 billion in February 2015 to Rs. 385 billion in February 2016. Every rupee so printed by the Central Bank in the form of reserve money is being used by commercial banks to create more money in the economy by extending credit. According to Sri Lanka’s historical experience, the multiple amount of new money so created – known as ‘money multiplier’ – is about 6.5 times the original reserve money, but with the recent increase in the Statutory Reserve Ratio or SRR, it is expected to decelerate to about six times of the original reserve money. Thus, the Monetary Board has tightened its monetary policy to some extent by increasing SRR; but it has allowed the measure to be negated by permitting an increase in the reserve money base in the economy. An apt analogy for this is the treatment of a diabetic. The physician has given an extra dose of insulin to him to keep the blood sugar levels under control. But his wife has started to feed him with sugary foods negating the effect of the dose. According to historical experience, banks in Sri Lanka normally takes about 12 to 18 months to complete the full cycle of creating multiple deposits and credit out of the reserve money created by the Central Bank. Hence, money supply is expected to grow faster in the next 12 to 18 month period than the current rate of growth which the Board has taken into account for deciding on its non-action. The Monetary Board’s monetary policy actions should be based on the future trends and its assessment of future risks and threats rather than the historical past. An increase in money supply is considered as extending a stimulus package to the economy since it is expected to increase the total demand of people for goods and service, known as the aggregate demand. It will become a stimulus only when there is excess production capacity in the economy. Given the structural bottlenecks that have constrained the supply in the economy, such an increase in the aggregate demand, in Sri Lanka’s case, would leak out of the economy by way of a higher import bill and higher payments for foreign services. The Monetary Board has facilitated this by maintaining its interest rates at historically low levels. Thus, the current developments would put further pressure on the foreign exchange availability of the country and its ability to stabilise the exchange rate. "Sri Lanka is notorious for low level of savings at the national level. Out of every 100 rupees it earns, it saves only about 18 rupees. This is grossly inadequate for the country to undertake the level of investments needed to transform the economy and put it on a long term high growth path. In the past, Sri Lanka heavily depended on commercial borrowings from foreign sources to fill the gap in investments. But it added to the country’s external debts and created further complications for the economy. Hence, a non-debt source like the foreign direct investments should be tapped. That is why, as this writer has argued, Sri Lanka should sign comprehensive economic partnership agreements not only with India, but also with other countries like Singapore, China, Japan, south Korea, EU, UK and USA. Thus, time is running out and quick action is needed by the country"
The Monetary Board and the Government appear to be fully relying on the proposed Extended Fund Facility or EFF of $ 1.5 billion to be granted to Sri Lanka by IMF in June, 2016 to cure the country’s macroeconomic ailments. EFF by IMF is a sure way to build confidence among foreign investors, but one has to note that the delivery of the proposed facility is made in small instalments – in tranches according to IMF parlance – of $ 300 to $ 400 million at a time depending on Sri Lanka’s delivering the promises it would make to IMF. Hence, in one way, the IMF facility is too small given the country’s current foreign exchange requirements. In another, the Monetary Board is changing the goal post making it impossible for the Government headed by Prime Minister Ranil Wickremesinghe to kick the ball through the goal. This portends to a serious threat to Sri Lanka’s future foreign exchange stability. It is presumed that the Monetary Board has apprised the Minister of Finance and through him the Prime Minister and the President of the upcoming threat and the action which the Board has taken to avert it in the special confidential report it has to submit to the Minister in terms of Section 68 of the Monetary Law Act. IMF’s EFF will not solve all the macroeconomic issues which Sri Lanka faces today. It is necessary and helpful but not sufficient. It would simply be like giving oxygen to a patient who has suffered a heart attack while being ferried to a hospital. The real treatment should start not in the ambulance but in the hospital. Similarly, Sri Lanka’s current economic ailments have to be treated by introducing an economy wide reform programme to increase its productivity, improve ease of doing business, change into new production lines, and integrate into the global market. For Sri Lanka to attain its goal, it is of utmost importance to consolidate the budget which has gone out of control due to falling revenue and soaring expenditure. The recent increase in the Value-Added Tax rates would definitely add to the coffers of the Government. But at the same time, the expenditure programmes of the Government should be carefully screened in order to ensure productive use of the scarce resources available to it. The Government has already made a mistake by using taxpayers’ money amounting to Rs. 4 billion to pay out to the depositors of the illegal deposit taking institution called the Golden Key company. This amount, wasted by the Government, is more than sufficient to finance the administration budgets of two large size State universities. A similar mistake was made by taking over the losses of the bankrupt national carrier, SriLankan Airlines. Without controlling the expenditure side of the budget, measures to raise revenue would not be fruitful. Sri Lanka is notorious for low level of savings at the national level. Out of every 100 rupees it earns, it saves only about 18 rupees. This is grossly inadequate for the country to undertake the level of investments needed to transform the economy and put it on a long term high growth path. In the past, Sri Lanka heavily depended on commercial borrowings from foreign sources to fill the gap in investments. But it added to the country’s external debts and created further complications for the economy. Hence, a non-debt source like the foreign direct investments should be tapped. That is why, as this writer has argued, Sri Lanka should sign comprehensive economic partnership agreements not only with India, but also with other countries like Singapore, China, Japan, south Korea, EU, UK and USA (available at: https://www.youtube.com/watch?v=TFx7mmRFn-s). Thus, time is running out and quick action is needed by the country.